Last year I wrote a post about wanting to visit all of England’s counties, and so, we started with our own county, Essex. We decided to make the most of our weekends off, and would go for drives, and see where the world would take us. I shared several churches that we visited, and you can see other things to see and do in Essex here. We’ve been for a couple of walks here in the past few weeks, and I wanted to share some of the photos that I took. The trees are still bare, but signs of sprint are starting to appear, and I’m looking forward to seeing how The Manor changes over the coming months. The site includes almost twenty hectares of colourful wildflower meadows, over eight hectares of ancient coppiced woodland, ponds, scrub and veteran trees. Not only that but the site also preserves a fascinating historical record which stretches back into the Middle Ages. 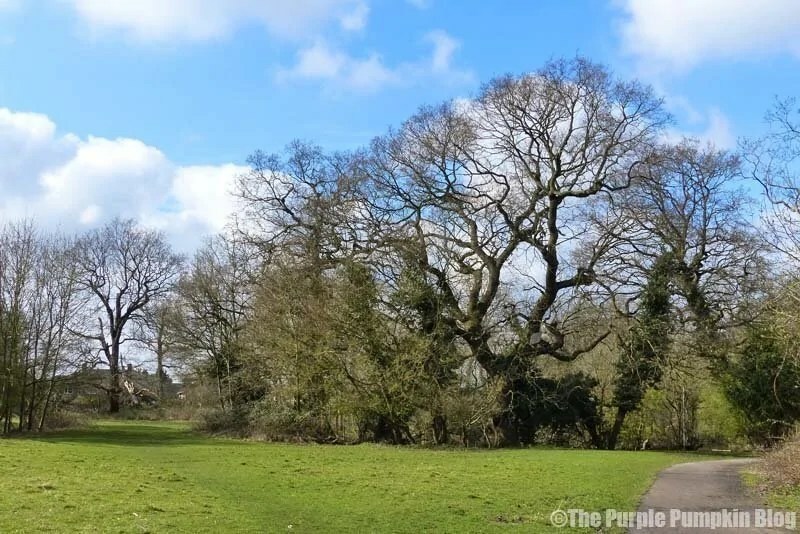 Dagnam park, formally laid out by the well known Victorian landscape architect Humphrey Repton, preserves its original 18th century boundaries together with a number of original landscape features including copses, ponds and specimen trees. Look out for mature conifers, horse chestnuts and cedar. The site of the original house is now overgrown, but a line of yew trees survives in woodland close to the spot where 19th century cast-iron gateposts flank the former drive. 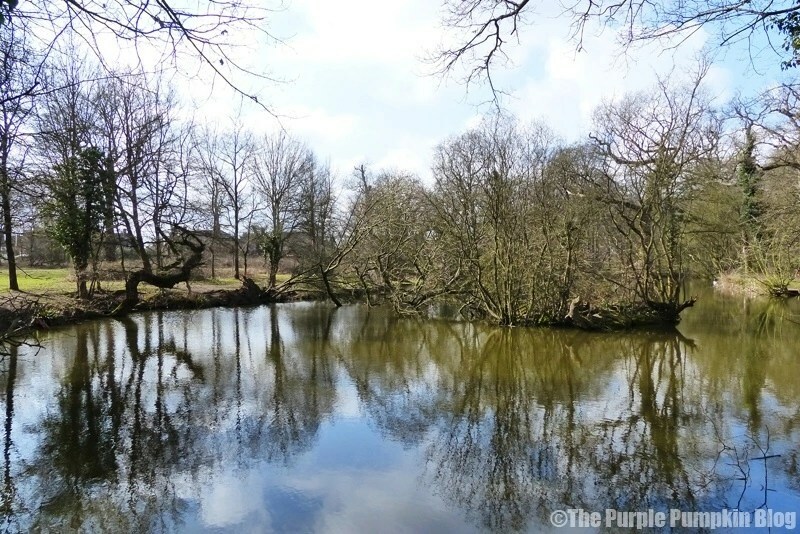 There is also a scheduled ancient monument, Cockerell’s moated site (of Dagnam Park Farm), in the south of the site – now a well known breeding pond for great crested newts. There is also evidence of medieval field patterns and see if you can spot the medieval road running along the sites eastern boundary! The nature conservation interest in Dagnam Park, Hatters Wood and Fir Wood is recognised in its designation by the Greater London Authority as a Site of Metropolitan Importance for Nature Conservation. Nearby Duck Wood is also designated as a site of Borough Importance for Nature Conservation. 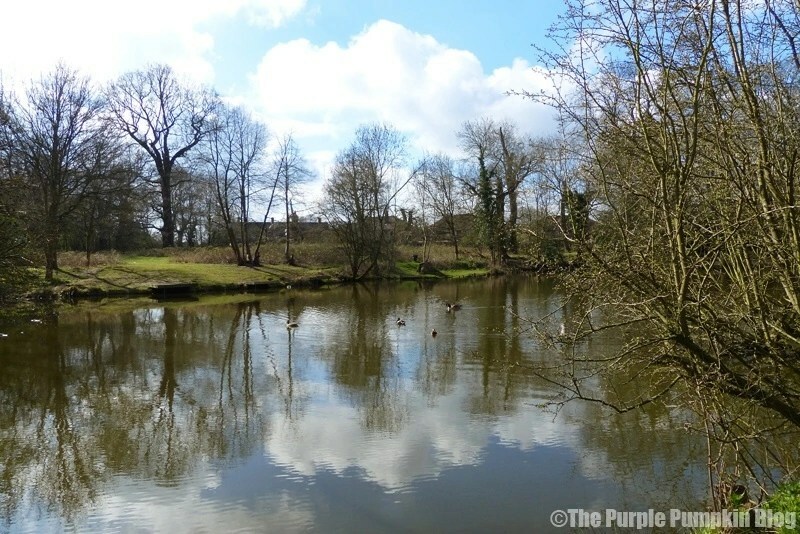 A short walk from the small car park is a fishing pond, and you have to obtain a rod fishing licence before fishing in the pond. When we went we saw a few ducks and geese on the pond. 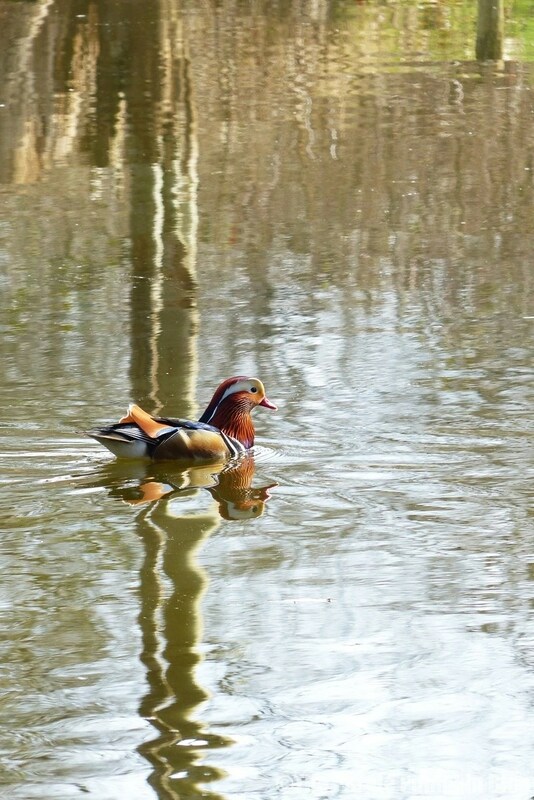 As well as the usual mallard ducks, we also saw a Mandarin duck with its colourful plumage. I wonder if we’ll see different species in the coming months? I’m so glad that we have all this green space in my hometown, and it’s only through getting outside and exploring, that I’ve come to really appreciate it. Because it’s so quiet in this nature reserve you can really hear the birdsong, and on one visit, I sat in the woods for a good ten minutes and just listened to the sounds of the birds singing. It was so peaceful and calming. Yes, you can hear the distant hum of traffic on the M25, and sometimes the air is broken with the bark of a dog being walked, but I think I’ve discovered a new happy place! Here are two short videos I recorded of the birdsong, I hope you agree how tranquil it sounds! We could hear lots of birds, but couldn’t see many – with all the bare trees you’d think we would have been able to see lots! 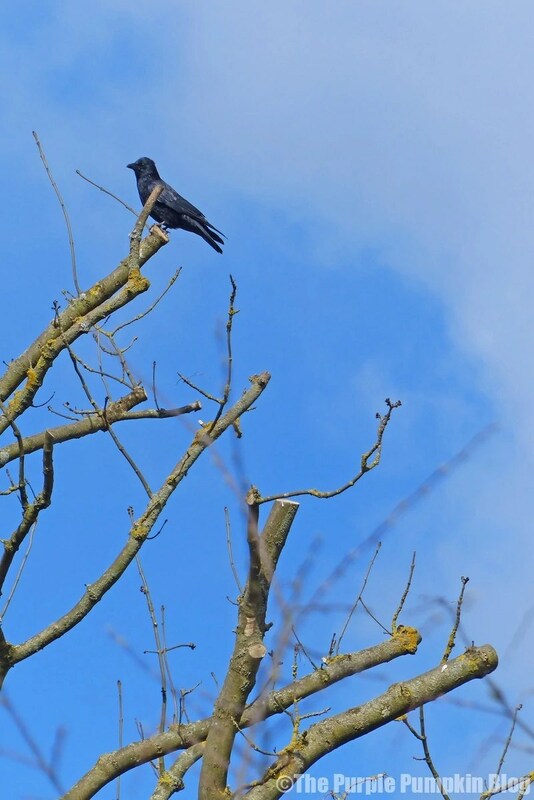 We did spot a few robins, and I managed to get some photographs, and there were several black birds – crows maybe – flying around. Steve spotted bluebirds, but they were way too quick for me to capture them on my camera. I could also hear a woodpecker knocking on a tree. Perhaps as we begin exploring the woods further, we’ll eventually spot him! As well as seeing the birds, I also spied a grey squirrel and a brown rat by the water. 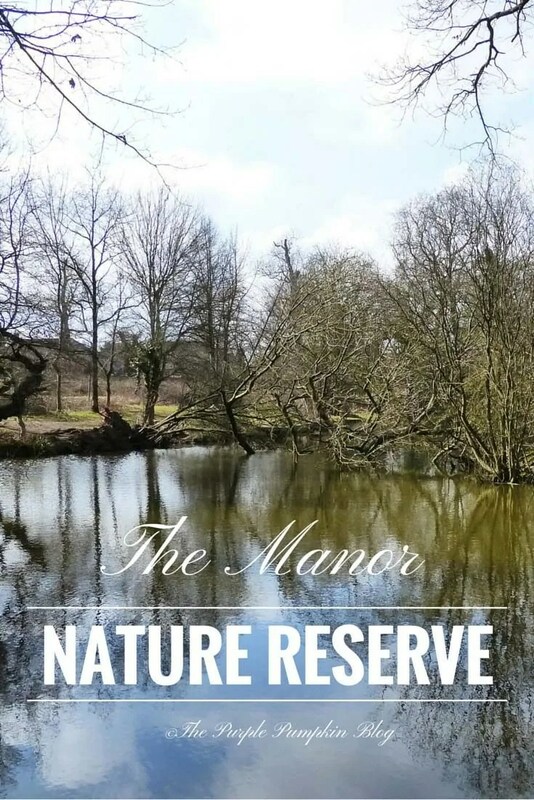 A list of the wildlife that can be seen at The Manor Nature Reserve can be found on the Friends of Dagnam Park website. There is a 700m hardened pathway suitable for bicycles, pushchairs and wheelchairs running through Dagnam Park. Duck Wood also has a circular hardened pathway approximately 1km in length. There are no toilet facilities or visitor centre – so make sure you go, before you visit! 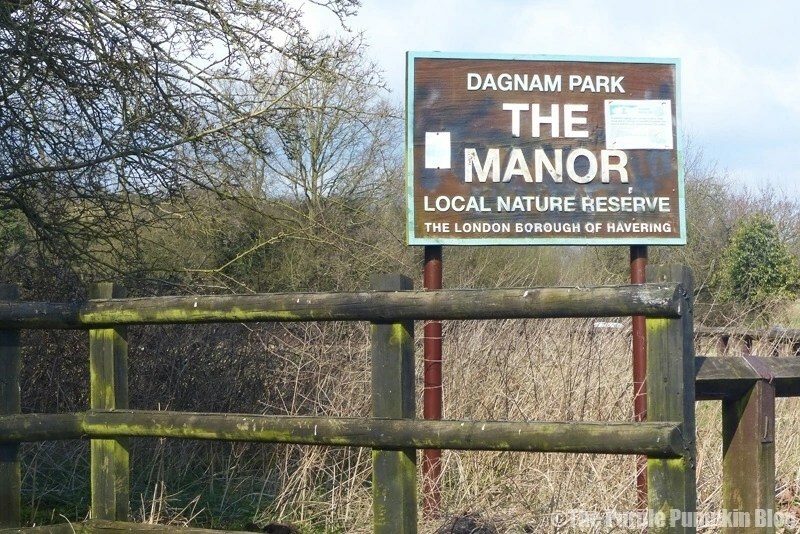 You can get to Dagnam Park and The Manor Nature Reserve using one of two local bus routes. The 256 from Hornchurch stops along Whitchurch Road, as well as Noak Hill Road. And the 496 which runs between Queens Hospital and Harold Wood Station can drop you off in Settle Road – just a minute’s walk away from the park’s main entrance. Thank you for having me! It’s a lovely linky x I didn’t realise you were so close! What a relaxing and beautiful place to be. Amazing flora and fauna too, I wish I lived near by. http://www.thediaryofajewellerylover.co.uk. Linking up from the Time Travellers linky. Well, if you ever find yourself in my neck of the woods (no pun intended!) we can talk Disney whilst walking around here! Thank you – I can’t wait to see it as the seasons change! What a lovely place. I’m so impressed that they have so much space given over to wild flowers – how lovely. This Easter holiday has been fab for getting outside and enjoying the elements. I agree, I’m loving the current warmer weather we have this week! What a lovely place to visit and you have taken some lovely photos. Thank you :) It was lovely and I can’t wait to see how it changes with the seasons! We went on holiday to Essex last summer and we were were amazed at how much there was to see and we barely saw any of it really. This looks like a real gem. We’ve barely scratched the surface of our local Essex, nevermind beyond! It’s amazing what is on our doorsteps without having to actually venture too far!